Jaroslav ze Šternberka is mentioned by Švejk when he tells his fellow prisoner who is a Crimean Tatar how miserably his forebears performed in Moravia. Jaroslav ze Šternberka was a Czech nobleman (probably fictive) who is said to have won a battle against the Mongols by Hostýn in 1241. [4.1] „Tak ty seš tedy Tatar,“ soustrastně řekl Švejk, „ty jsi se vydařil. Pak mně máš rozumět a já tobě, když seš Tatar. Hm - znáš Jaroslava ze Šternberka? To jméno neznáš, ty kluku tatarská? Ten vám natřel prdel pod Hostýnem. Muhlahalej Abdrachmanov was one of the prisoners in Švejk's transport. [4.1] „To mně nikdo nebude věřit,“ pomyslil si Švejk, „že se někdy někdo moh tak jmenovat jako ti Tataři kolem: Muhlahalej Abdrachmanov - Bejmurat Allahali - Džeredže Čerdedže - Davlatbalej Nurdagalejev atd. Bejmurat Allahali was one of the prisoners in Švejk's transport. Džeredže Čerdedže was one of the prisoners in Švejk's transport, a Georgian to judge by the name. Davlatbalej Nurdagalejev was one of the prisoners in Švejk's transport. Vobejda was the priest in Židohoušť who Švejk thought had a somewhat easier name than Davlatbalej Nurdagalejev. Allāh is metioned by the Crimean tatar Švejk talks to in Dobromil. He uses the term "Alláhu-Akbar" (God is great). Allāh is the Arab word for God and is commonly used in the context of Islam. The conception of Allah is very close to judaism's Jahve and the Christian God, which is natural as these religions have common roots. In Austria-Hungary Islam joined the varied spectrum of religions when Bosnia and Hercegovina became part of the empire. In the K.u.K Militärseelsorge the Feldiman had his recognised place next to the Feldkurat and the Feldrabbiner. The author had himself extensive knowledge of muslim peoples in Russia, mostly from his stays in Tatarstan and Bashkortostan in 1918 and 1919. Another possible source of knowledge: according to his wife Alexandra Lvova (as retold by Franta Sauer), he employed a group of body-guards from the muslim region of Cherkessia during his stay in Irkutsk in 1920. Löfler was a cripple from Styria who was routinely humiliated by the corporal who interrogated Švejk in Dobromil after he was captured trying on a Russian uniform. Löfler was ordered to crawl around on the floor with a pipe in his mouth, then he had to bark like a dog. [4.1] Otevřel dveře do vedlejší místnosti a zavolal: „Hans Löfler!“ Ozvalo se „Hier!“ a dovnitř vstoupil volatý voják, Štajeráček, s výrazem ubrečeného kreténa. To byla na etapě holka pro všecko. Džindralej Hanemalej was one of the prisoners in Švejk's transport. [4.1] Zas chodil dál vystrojenými řadami zajatců, kteří postupně vykřikovali svá jména a příjmení: „Džindralej Hanemalej - Babamulej Mirzahali“ atd. Babamulej Mirzahali was one of the prisoners in Švejk's transport. Štěpánek was was much easier than tatar names like Babamulej Mirzahali according to Švejk. He was very likely a real person. Matoušek was according to Švejk preferable to be called rather than these Tatar names like Babamulej Mirzahali. Matoušek is not directly identifiable but the author almost certainly borrowed the name from a real person. Antonín Měšťan identifies him as a translator of mythical prose. The person he has in mind was an expert on Gnosticism and Hermeticism, wrote books on the theme and also translated neo-platonic prose. The most visible trace of him is a book from 1924 on the philosopher Jakub Böhme, which is still widely available. The catalogue of the Czech National Library lists four titles (two of them translations from Greek) by him, published from 1922 to 1925. It is therefore probable that Jaroslav Hašek knew about Matoušek when he wrote those lines at the end of 1922. All four books were reprinted in the 1990's. In 1927 he wrote another book, this time about vampires. Matoušek seems to have been a spare time author. Police records shows that he was a civil cervant in the k.k. post- and telegraph authorities. He was married to Marie Kalinova from Vršovice and in 1914 the couple lived in Prague IV, čp. 112 (Hradčany). Jaroslav Matoušek war hauptsächlich als Übersetzer mystischer Schriften tätig. Narozen 18 December 1872 v Praze, zemřel 30 March 1946 v Praze. PhDr., práce z okultismu, překlady novoplatoniků. Svobodová was was according to Švejk much easier to pronounce than tatar names like Babamulej Mirzahali. Svobodová was a Czech writer who specialised in literature on the fate of women. She is vaguely classed as impressionist. Babula Halleje is an invented name, this time by the author. [4.1] Když konečně Švejk po hrozném utrpení sepsal všechny ty Babula Halleje, Chudži Mudži, umínil si, že to zkusí ještě jednou a vysvětlí tlumočníkovi-šikovatelovi, že se stal obětí omylu, a jak už několikrát po cestě, když ho hnali mezi zajatci, marně se dovolával spravedlnosti. Chudži Mudži is an invented name, this time by the author. Dreger is a name the drunk corporal who interrogated Švejk sings about to the tones of Loreley. He picks the lyrics from a newspaper advert. Wolf was the major in Przemyśl who discovered that Švejk was a Czech in a Russian uniform. He advocated immediate hanging of the delinquent, preferably after a summary trial. [4.1] Potom je přejímal major Wolf, vládnoucí tou dobou nad všemi zajatci pracujícími na opravách v pevnosti Přemyšlu a okolí. To byl důkladný člověk. Měl u sebe celý štáb tlumočníků, kteří vybírali ze zajatců specialisty ku stavbám podle jejich schopností a předběžného vzdělání. Masaryk is mentioned by the author in connection with a discussion about Czechs who have joined the enemy. Masaryk is referred to as the former Austrian professor who has moved abroad and is involved in anti-Austrian agitation. The author's personal greeting to the president was removed from editions from 1951 and 1955. Masaryk was a Czech politician and professor of philosophy who is strongly linked to the creation of the Czechoslovak state. He was president of the country from 1918 until 1935. He enjoyed enormous respect both at home and abroad and rarely has the term "father of the nation" been more appropriate. Until 1914 he was a member of parliament (see Parlament) and was still loyal to Austria-Hungary, but his experience from the time after the outbreak of war made him change his mind and work for full Czech/Slovak independence. In December 1914 he moved abroad and started to campaign for an independent Czechoslovak state amongst allied politicians, influential press people, and other people in important positions. He soon became the leader of the Czech (and Slovak) independence movement abroad and during the war he spent time in Switzerland, France, England, USA and Russia. In his position in the independence movement he enjoyed almost unchallenged authority. Masaryk spent almost a year in Russia at the time when Hašek was there: he arrived in Petrograd on 16 May 1917 and left again in March 1918. The two very probably met; in Berezno (HQ of Hašek's regiment from 11 August 1917) and in Kiev in February 1918. During his visit in Berezno in August 1917 Masaryk stayed in the mansion where Hašek worked. The author was at the time secretary of the staff of the 1st Czechoslovak rifle regiment "Jan Hus". [4.1] Rakouské ministerstvo vnitra tápalo ještě ve tmách, pokud se týkalo zjištění nějaké bojovné organisace z přeběhlíků na ruskou stranu. Neznalo ještě nic určitého o revolučních organisacích v cizině a teprve v srpnu na linii Sokal - Milijatin - Bubnovo obdrželi velitelé batalionů důvěrné reserváty, že bývalý rakouský profesor Masaryk utekl za hranice, kde vede proti Rakousku propagandu. Nějaký pitomeček od divise doplnil reservát ještě tímto rozkazem: „V případě zachycení předvésti neprodleně k štábu divise!“ Toto tedy připomínám panu presidentovi, aby věděl, jaké nástrahy a léčky byly na něho kladeny mezi Sokalem - Milijatinem a Bubnovou. Vašák was a hatter that always made trouble at Na Zavadilce in Libeň. The guests and the landlord therefore discussed if they were to thrown him out at first sight or wait until he'd had a few beers and had spent some money. Vašák was possibly inspired by a real person (or two). A certain Jan Vašák, born in Bukovany by Benešov on 17 September 1871 was a hatter who lived in Žižkov from 1907 and at least until 1909. But even more striking is the fact that he in 1906 lived in Prague VIII čp. 524, i.e. in Libeň. He had got married in Karlín in 1898 so he had probably spent a few years in the area. His wife was from Žižkov. [4.1] To jsme se vám jednou v hospodě ,Na Zavadilce’ v Libni hádali mezi sebou, jestli máme nějakýho kloboučníka Vašáka, kerej vždycky dělal při zábavě neplechu, vyhodit, hned jak se vobjeví ve dveřích, nebo ho vyhodit, až si dá pivo, zaplatí a dopije, nebo mu vyndat boty, až přetančí první kolo. Znamenáček is mentioned in Švejk's imaginary anecdote about the judge who went mad and wanted to hang Znamenáček immediately because he had insulted the chaplain Hortík. Hortík was the chaplain in the anecdote about the mad judge. Horáček was the guard in the anecdote about the mad judge. See Znamenáček. Týnecký is the centre of the anecdote Švejk uses against the Polish spy who enters his cell in Przemyśl. [4.1] „Voni se museli rozhodně napít bahnitý vody,“ řekl Švejk. „jako ten mladej Týneckej od nás, člověk jinak rozumnej, ale jednou se pustil na cesty a dostal se až do Italie. Taky vo ničem jiným nemluvil než vo tej Italii, že jsou tam samý bahnitý vody a nic jinýho památnýho. Saint Peter is the centre of the anecdote Švejk uses against the spy who enters his cell in Przemyśl. Saint Peter (Simon Peter) was a leader of the early Christian Church, who features prominently in the New Testament through the Gospels and the Acts of the Apostles. He was one of Christ's twelve disciples. The Catholic Church regards him as as the first bishop of Rome and also the first pope. [4.1] A taky dostal z tý bahnitý vody zimnici. Chytalo ho to čtyřikrát do roka. Na Všechny svatý, na svatého Josefa, na Petra a Pavla a na Nanebevstoupení panny Marie. Saint Paul is the mentioned in the anecdote Švejk uses against the spy who enters his cell in Przemyśl. Saint Paul (Paul of Tarsos, born Saul) was a Greek Jew who became one of the early Christian leaders and one of the first missionaries. He is often mentioned in the New Testament and has written part of it. Paul was executed in Rome during the reign of Nero. Zimmer is a lieutenant that Švejk talks about to the spy who enters his cell in Przemyśl. [4.1] My padneme za císaře pána a jeho rodinu, za kterou jsme vybojovali Hercegovinu. Z našich kostí se bude vyrábět špodium pro cukrovary, vo tom už nám před lety vykládal pan lajtnant Zimmer. ,Vy svinská bando,’ povídá, ,vy nevzdělaní kanci, vy zbytečný, indolentní vopice, vy těma haxnama pletete, jako by neměly žádnou cenu. Božetěch was a bookbinder from Příčná ulice 16 who had had a bath in Zbraslav with a tramp, and the latter had run off with his clothes. This is what Švejk tells during interrogation in Przemyśl. It also transpirers that Josef Božetěch read all the books he bound, and was happy to sit at U Fleků and relate the content. [4.1] „Vím, vod 91. regimentu mne už jistě hledají, ale jestli dovolíte, pane majore, malou poznámku vo tom, jak se lidi dobrovolně převlíkají do cizích šatů. Roku 1908 někdy v červenci koupal se knihař Božetěch z Příčný ulice v Praze na Zbraslavi ve starým rameni Berounky. Fink was a general who was commander of the garrison in Przemyśl and led the trial against Švejk. His great joy was to arrange summary trials and he had a strong dislike for defence lawyers. A succesful trial should be quick and the accused should preferably be strung up within three hours. Fink is such a patriot that he even ignores his Reichsdeutsche allies. It is revealed that he lives in Vienna, is married and has a son Wilhelm Fink. This figure is unlikely to have been directly modelled on a real person as the fortress commander of Przemyśl from 9 June 1915 (at the latest) was Generalmajor Gustav Stowasser. According to Radko Pytlík  Fink was a real person (documents about him exist in the Vienna war archive), but it is more likely that the author borrowed the name from the well-known Prussian noble family Finck von Finckenstein. The name Fink von Finkenstein can not be found in address books from Vienna of 1914 and 1915, although the surname Fink was quite common. Nor is he listed in any Kriegsgliederungen from 1915. We must therefore assume that this figure is a grotesque charicature with a random name, but still one that may have borrowed traits from people the author actually met. Source: Österreich-Ungarns Letzter Krieg, Band III. [4.1] Potom pokračoval tento podivný soud na způsob náhlého soudu, který aranžoval předsedající generál Fink von Finkenstein. Tento generál říkával, že žádných auditorů nepotřebuje, že to sezve dohromady a za tři hodiny že každý chlap musí viset. Dokud byl na frontě, tak u něho o náhlý soud nikdy nebyla nouze. Wilhelm Fink was the son of Fink, mentioned in a letter from the front. The author uses the Czech pet names Vilouš and Viloušek, an equivalent to the German Willi, Willy or Willichen. [4.1] Připadalo mně to tak směšné, že jsem všem odpustil, kteří ho hlídali, a ještě jsem udělal vtip, že se ten učitel patrně sám šel poohlédnout po nějakém stromě. Tak vidíš, má drahá, že se zde nijak nenudíme, a řekni malému Viloušovi, že ho tatínek líbá a že mu brzo pošle živého Rusa, na kterém bude Viloušek jezditi jako na koníčkovi. Martinec was field chaplain at the Przemyśl garrison and a good christian from near Nový Jičín in Moravia. After joining K.u.k. Heer his moral standards started to deteriorate. Under the influence of general Fink he got into the habit of enjoying strong drinks and the company of loose women. His task in the novel is to provide spiritual consolation for Švejk before the impending execution. His first name Jan appears in the diminutive form Jeníček. Hindenburg is mentioned by the author in passing; he refers to some headlines from the humour magazine "Lustige Blätter", written by Schloemp, which general Fink finds entertaining. Hindenburg was a German general who was Commander in Chief of the German forces on the Eastern front at the time of the events in the novel. From 1916 he became head of the entire German army and gradually became the most influential person in the country. He was elected president of Germany in 1925, a position he had also when Hitler assumed power in 1933, and he remained in office until his death the year after. He is the only German head of state ever who has been directly elected by the people. He was politically conservative. [4.1] Měl celou knihovnu takových svazečků s pitomými názvy jako „Humor v tornistře pro oči i uši“, „Hindenburgovy anekdoty“, „Hindenburg v zrcadle humoru“, „Druhá tornistra plná humoru, naládovaná Felixem Schlemprem“, „Z našeho gulášového kanonu“, „Šťavnaté granátové třísky ze zákopů“, nebo tyto hovadiny: „Pod dvojitým orlem“, „Vídeňský řízek z c. k. polní kuchyně. Ohřál Artur Lokesch“. *5.9.1880 Leipzig - †23.8.1916 Malinadr? Schlemper is mentioned by the author in passing; he refers to some headlines from the humour magazine Lustige Blätter that general Fink finds entertaining. The author has a very different opinion about their merits. Schlemper refers to Felix Schloemp, a German book trader, editor and publisher. From 1909 onwards he published a number of illustrated humorous books. In 1915 and 1916 he edited Tornister-Humor, a series of humorous booklets. Issues 1, 2, 8 and 15 are directly mentioned in the novel. Schloemp was wounded at the Russian front on 25 July 1916 and two days later he was in person awarded the Eiserne Kreuz (Iron Cross) by Prince Leopold of Bavaria. 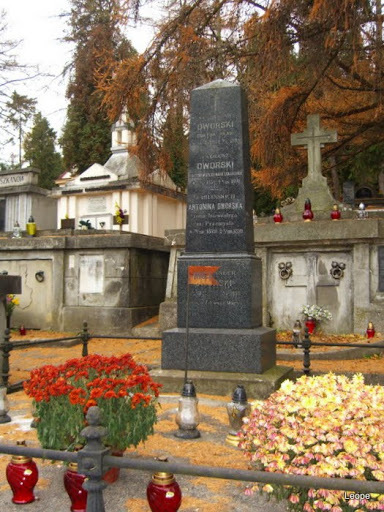 Some weeks later Schloemp died from the injuries and was buried by Malinadr on 23 August (it is not known what place this name refers to). [4.1] Měl celou knihovnu takových svazečků s pitomými názvy jako „Humor v tornistře pro oči i uši“, „Hindenburgovy anekdoty“, „Hindenburg v zrcadle humoru“, „Druhá tornistra plná humoru, naládovaná Felixem Schlemprem“, „Z našeho gulášového kanonu“, „Šťavnaté granátové třísky ze zákopů“, nebo tyto hovadiny: „Pod dvojitým orlem“, „Vídeňský řízek z c. k. polní kuchyně. Lokesch is mentioned by the author in passing; he refers to some headlines from the humour magazine Lustige Blätter that general Fink finds amusing. Lokesch was a writer who in 1915 and 1916 contributed to the series Tornister-Humor by Schloemp. The novel specifically refers to Unter'm Doppeladler which was issue No. 15 in the series. It had the sub-title Wiener Schnitzel aus der K. K. Feldküche, aufgewärmt von Arthur Lokesch. In addition he had his name of several of these 64-page instalments. Instalment no. 15 was published in early in 1916 so Jaroslav Hašek could therefore not have drawn inspiration from his own time in K.u.k. Heer in 1915. The author of the humorous booklets was the youngest son of Prague factory owner Eduard Lokesch. The factory in Holešovice made buttons, garments and other clothing accessories. Lokesch was born in 1878, at the time the family lived in Praha I./859 (Kozí plácek). At the time the factory/work shop was also located here and according to E.E. Kisch a certain Mestek worked there for a short period! Lokesch seems to have studied at the German commercial academy and also contributed to Prager Tagblatt using the pseudonym Tuxl. In police records and domicile register from Prague he is listed as "disponent" (managing clerk). In 1910 he is mentioned in Národní politika as a "well known German editor". He wrote lyrics for songs in theatre plays that from 1912 were performed in Berlin and later across Europe. His most famous contribution is the lyrics of the internationally known vaudeville Der Regimentspapa (1914). Lokesch moved to Berlin some time before 1909 and was as late as 1933 listed in the city's address book. He is known to have edited Der Luftballon, a magazine that in 1909 was located in the same building as Lustige Blätter. Both publications were owned by Dr. Eysler & Co.
His name is found in address books and in newspapers also after the war. He is now listed as an editor and dramaturgist and his name appears as far away as Essen (editor in chief of Rheinisch-Westphälischen Anzeiger). The Lokesch family were Jewish but Arthur converted to protestantism as a young man. In 1937 he was again living in Prague so he had obviously left Berlin after the Nazi takeover. He doesn't figure in the address book from 1942 so it is not clear if he emigrated after the Nazi invasion in March 1939 or remained and became a victim of Holocaust. Ignatius of Loyola is mentioned in passing in the description of field chaplain Jan Martinec. Ignatius of Loyola was a Basque/Spanish nobleman and soldier known for having founded the Jesuit Order in 1534 and also the instigator of the inquisition. He was declared a saint in 1622. The church Kostel svátého Ignáce is named after him. [4.1] Generál oblíbil si kuráta Martince, který se mu prvně představil jako nějaký svatý Ignác z Loyoly a pomalu přizpůsoboval se generálovu okolí. Grabowski is mentioned because Martinec kneeled in front of his statue to confess his sins. Grabowski was mayor of Przemyśl in the 1880's according to the author. It is revealed that he did the city great services, and was a builder and a benefactor. Grabowski was according to Milan Hodík identical to Bronisław Grabowski, a Polish ethnographer, writer, translator and slavist. He translated, amongst others, the Czech writers Karolina Světlá and Jaroslav Vrchlický. Radko Pytlík makes no such assumptions about "Grabowski's" identity, and quotes Polish sources that there was no such statue in Przemyśl at the time. He suggests there might be a mix-up with a statue of Adam Mickiewicz. It was indeed located in the city park as the Grabowski monument in the novel. Hašek's text does not correspond to the information on Grabowski from Hodík and Wikipedia. It is therefore doubtful if he is the person Hašek had in mind. Note that the author never mentions his first name. Let us therefore start with the other facts Hašek provides. The mayor of Przemyśl from 1881 to 1901 was Aleksander Dworski and his biographical details fit well with what is stated in the novel. No statue of him can be located, but he was (and is) well known in the city and a major street is named after him. Dworski and not Grabowski was almost certainly the "Grabowski" in the novel. Dworski was also elected member of Reichsrat (see Parlament) from 1873 to 1881. Aleksander Dworski (ur. 1822 we Lwowie - zm. 29 marca 1908 w Przemyślu) - polski działacz społeczny, prawnik, poseł do Rady Państwa (1873-1879) oraz Sejmu Krajowego Galicji (1889-1901), wieloletni burmistrz Przemyśla (1881-1901). Ukończył studia prawnicze na Uniwersytecie Lwowskim. W 1855 przeniósł się do Przemyśla, gdzie rozpoczął pracę jako adwokat, był przewodniczącym Izby Adwokackiej w Przemyślu i Samborze. Wniósł duże zasługi dla rozwoju Przemyśla: powołał do życia Komunalną Kasę Oszczędności, z jego inicjatywy założono Związek Miast Galicyjskich. W czasie jego urzędowania rozbudowano w Przemyślu szkoły, zaprowadzono wodociągi, rozpoczęto elektryfikację miasta, wybudowano schronisko dla bezdomnych im. Brata Alberta. Jest honorowym obywatelem Przemyśla, oprócz tego jeszcze za jego życia nazwano jego imieniem jedną z głównych ulic Przemyśla. [4.1] Potom dlouhou dobu vyčítal si toto zpustlé jednání, ačkoliv to nemohl ani napraviti tím, když tu noc, vraceje se domů, klečel omylem v parku před sochou stavitele a starosty města, mecenáše pána Grabowského, který získal si velké zásluhy o Přemyšl v letech osmdesátých.